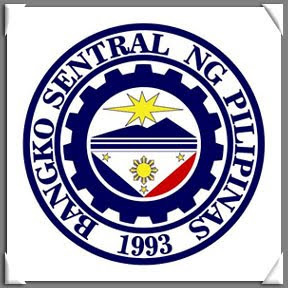 MANILA, Philippines (Mindanao Examiner / May 6, 2011) - Preliminary data from the Bangko Sentral ng Pilipinas showed that the country's gross international reserves (GIR) rose to US$67.8 billion as of end-April 2011, higher by US$1.8 billion compared to the end-March 2011 GIR level of US$66.0 billion, BSP Governor Amando Tetangco, Jr announced on Friday. Foreign exchange inflows that contributed to the significant increase in the end-April 2011 GIR stemmed from the foreign exchange operations and income from investments abroad of the BSP as well as revaluation gains on the BSP's gold holdings on account of rising gold prices. These inflows were counterbalanced by payments by the National Government of its maturing foreign exchange obligations. The preliminary end-April 2011 GIR could cover 10.4 months worth of imports of goods and payments of services and income. It was also equivalent to 10.8 times the country's short-term external debt based on original maturity and 6.1 times based on residual maturity. Net international reserves, which include revaluation of reserve assets, stood at US$67.8 billion as of end-April 2011 compared to the previous month's level of US$66.0 billion. NIR refers to the difference between the BSP's GIR and total short-term liabilities.